Giveaway, originally uploaded by Argyle. 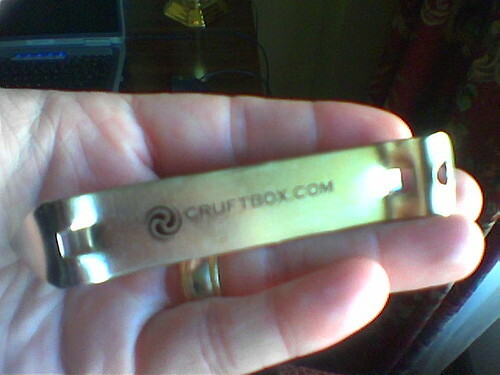 If you find me at SxSW and say hello, I'll be happy to give you this fine, limited-edition Cruftbox can/bottle opener. Michele made this for me and I've got a bagful to give away!